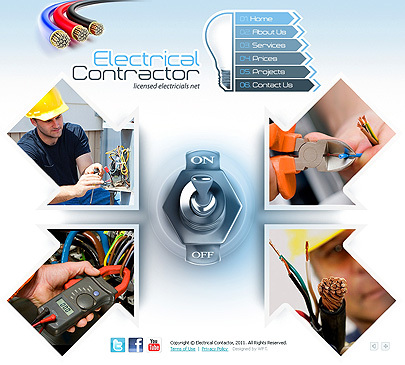 Make your business successful and your website popular with our Electrical Contractor Website Template! i want to purchase this theme as HTML5 ? Unfortunately we can't offer you the Electrical Contractor template as Html5. However, we can offer you some similar products. They are Electrical Experts and Electrician Services. You can edit content via text file. View "Template Installation Video" for details. If you want to change template layout, you need "Adobe Flash Professional CC" software. Do you have full demo for this website?? Hi. Yes, you just need to press a big yellow button "Live Demo".